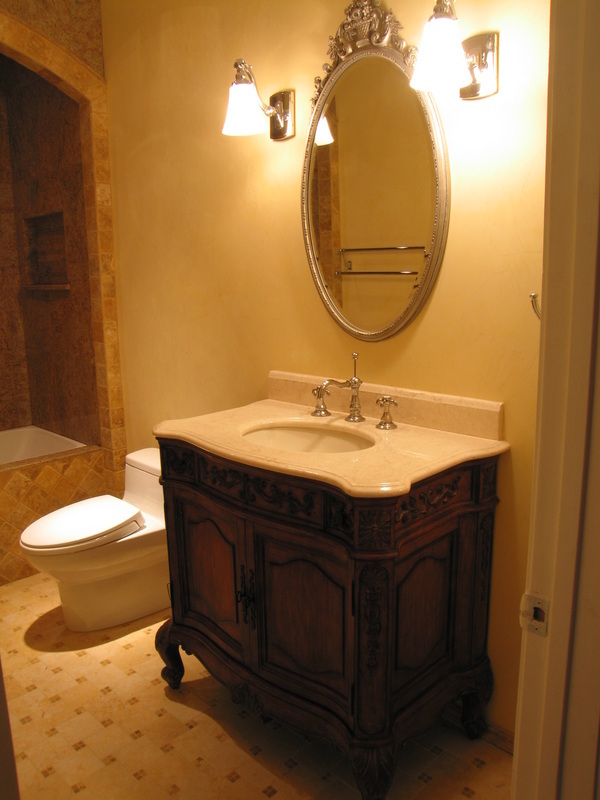 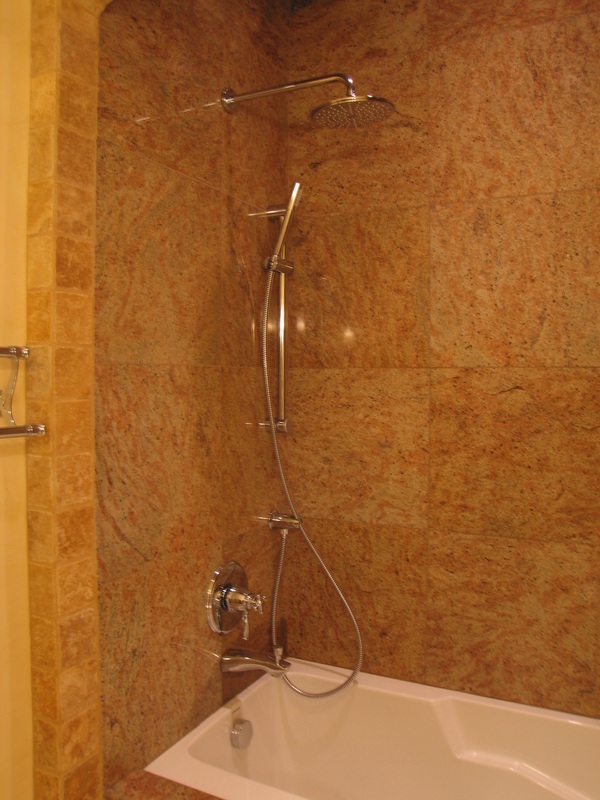 Hansgrohe Fixtures, Pre-made, hand carved solid wood cabinet w/marble top. 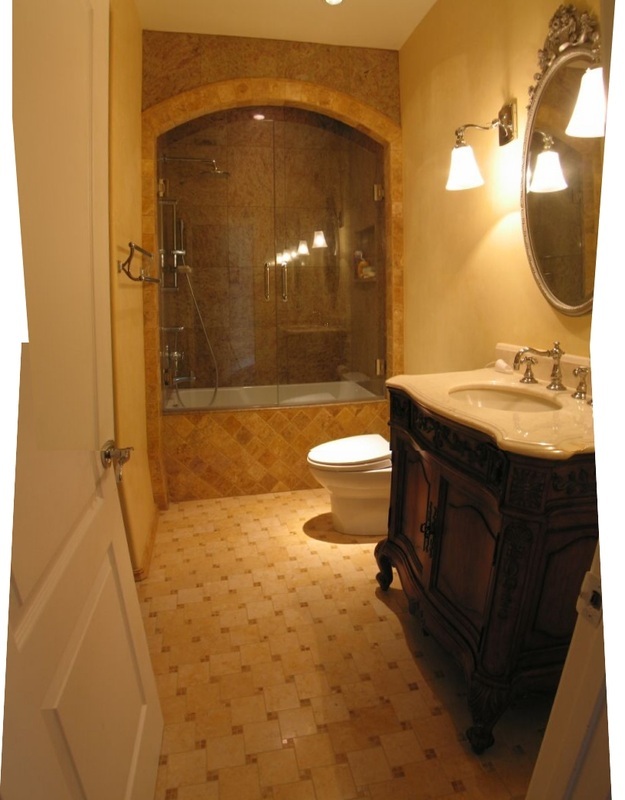 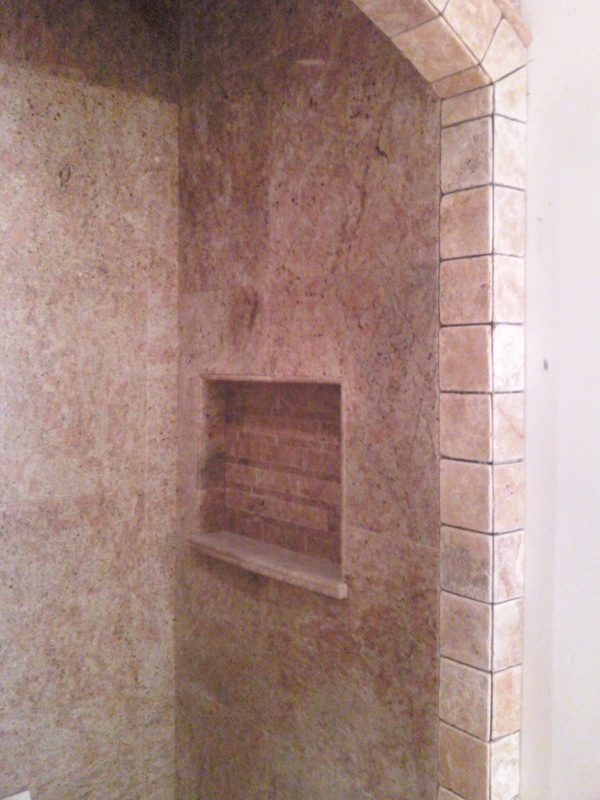 18"x18" Granite shower walls with tumbled stone trim around arch. 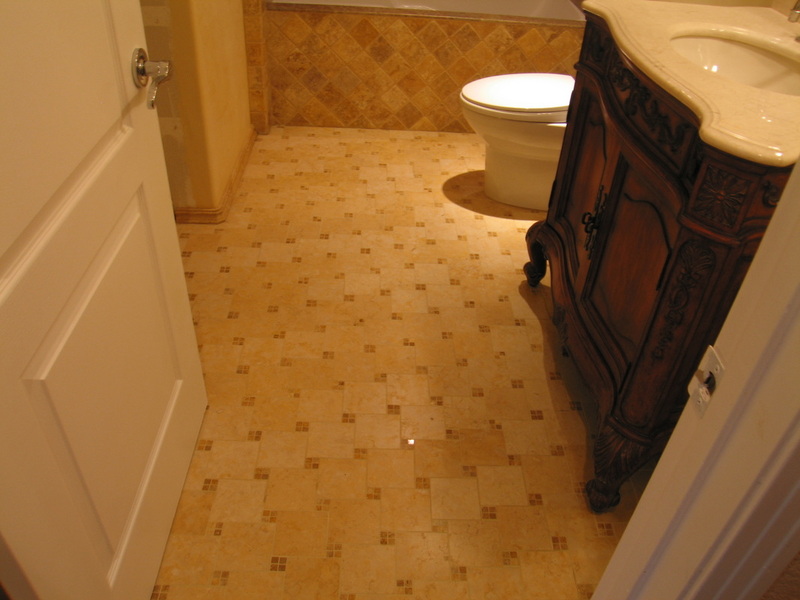 Floor is radiant heated with marble 4x4 and 1/2"x1/2 mosaic dots in a pinwheel pattern. 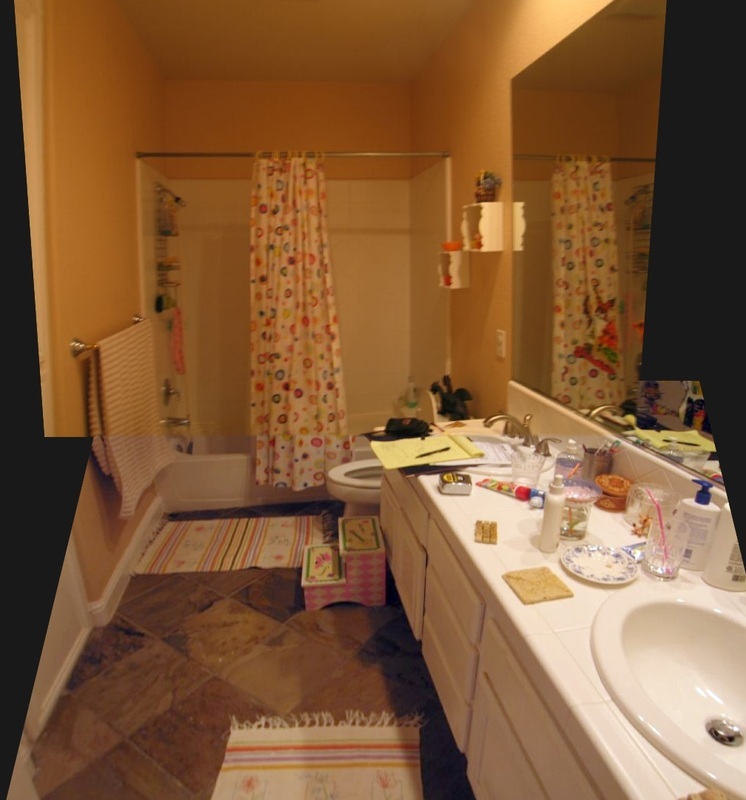 Toto Ultramax Toilet. 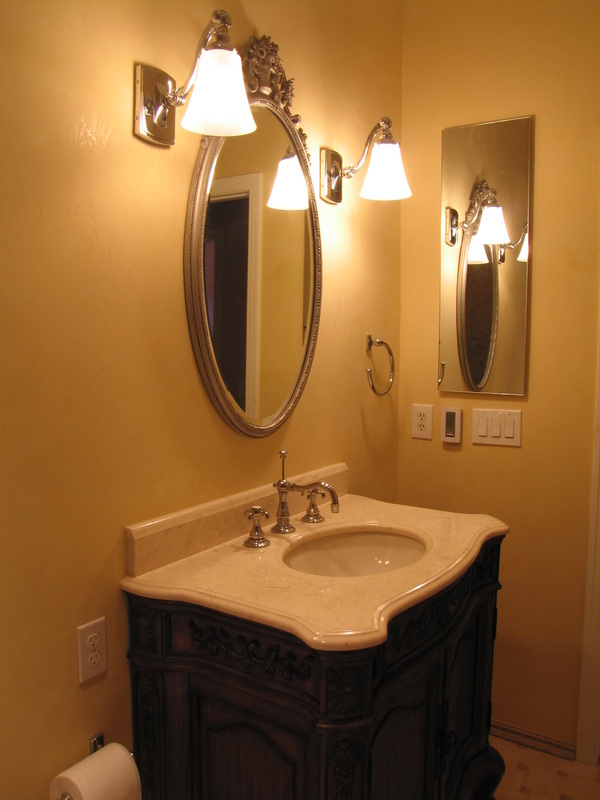 Faux painted walls. 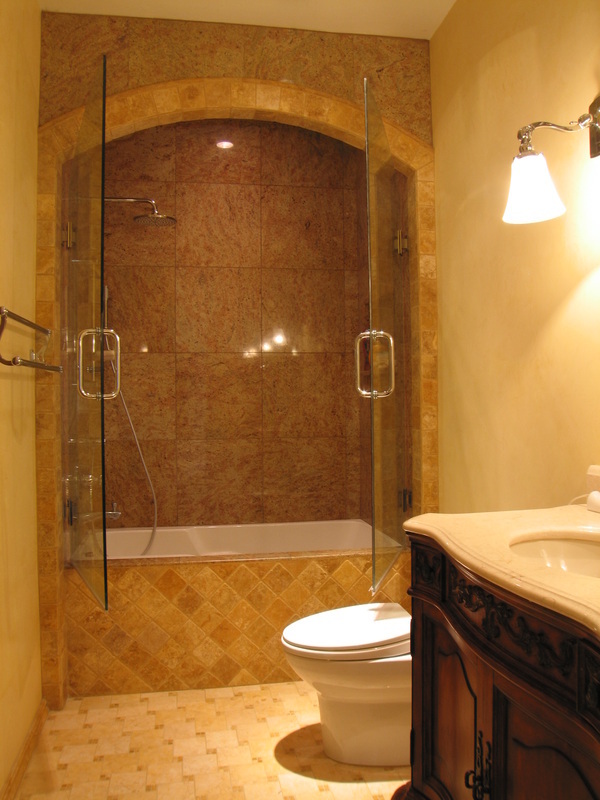 Arched heavy glass enclosure, double doors "Saloon" style. 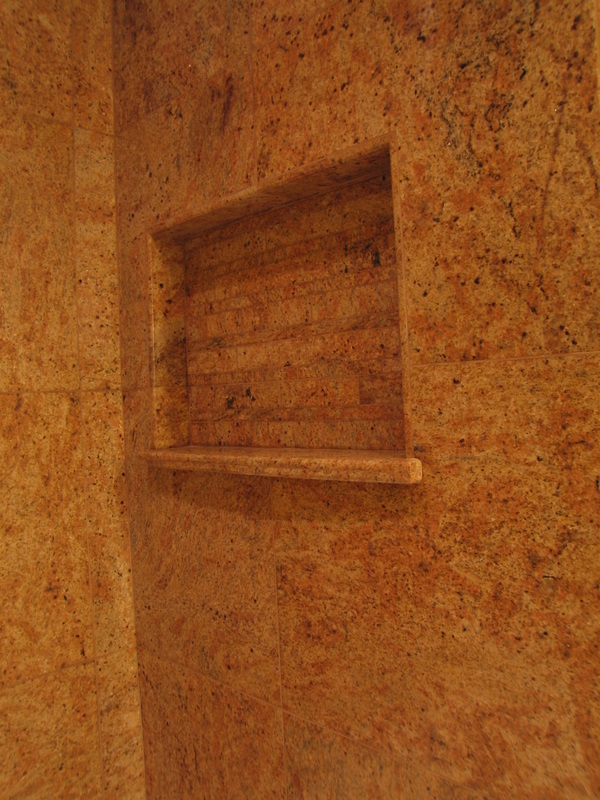 Kohler Medicine cabinet. 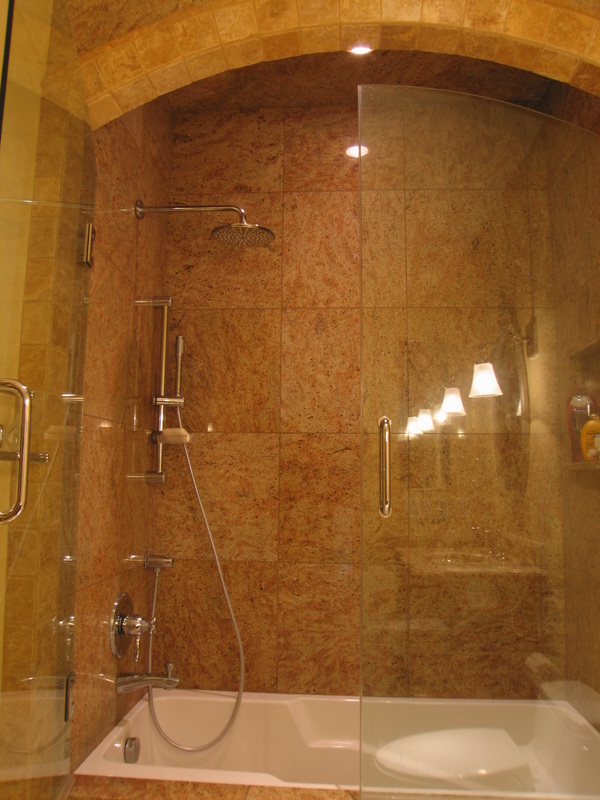 60"x32" Acrylic soaker tub under-mounted beneath granite.